"2 Nice Guys was quick and they completed their inspection in a timely manner. We were pleased with their work, they are also priced well. Also, first responder friendly which is a fabulous trait for any company. 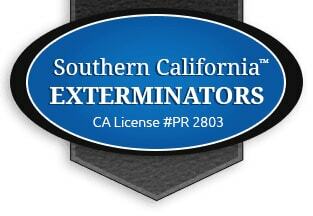 We will be sure to use them in the future for any termite/pest control services. Thanks 2 Nice Guys!" "Garrett was on time and spent time discussing how bad our mole situation is. He explained what each chemical was and the plan for trying to get rib of these pesky guys. He assured me I wasn't over reacting to how bad it is. He said he's only seen 1 or 2 yards as bad as ours. I appreciated his willingness to target this problem in every way possible." "I seriously cannot say enough good things about this company! Matt Cade was our service technician and he far exceeded our expectations. He made numerous trips to correct our problem (critters in the attic), sometimes coming after already working a very long day. Matt is extremely knowledgeable and thorough in his job, and I can only assume that this is true of the entire company." "AAA Exterminating is the most trustworthy home services company I ever encountered. Jim, the General Manager, just left. He was on-time, kind, and very knowledgeable. My situation today, didn't require professional treatment. Instead of hard-selling me on something I didn't need, Jim gave me straight forward honest advice. It is so refreshing to meet a home services company that didn't try to sell me something that I didn't need. Well done AAA Exterminating! You'll be my first call next time." "Jeff was very professional; he arrived on time and thoroughly inspected the premises. He gave us information on how the rat might be accessing the crawl space and his recommendations. Most importantly, the rat was eliminated and access points closed. I would definitely use this company again." "I had an issue with a hornet's nest and was able to get someone out to my home the same day. Nick arrived on time, went over his recommendation and was very professional. Orkin quoted me over $200 and ABC charged me $91. I would highly recommend them!" "Jeff and his crew are great. They know their pests, the solutions and are always promt with their response. I've used Abes for the past 5 years and have never had to have them return for an issue. Highly recommend them." 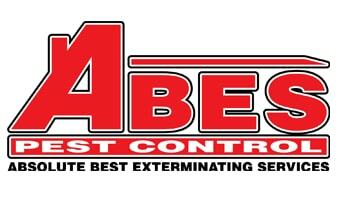 "Able Pest Management LLC has handled all of our pest control problems. We manage numerous commercial warehouses on Oahu. For the past four years, Able Pest Management LLC has handled all of our pest control problems for the properties we manage. Able Pest Management LLC do an excellent job. They are always on time and easily accessible." "I called Acme about my ant problems. I also called several other companies. I was impressed with Acme from the very start. Their prices were great, they were very knowledgeable, they came out when they said they would, didn't try to sell me on anything additional-that I didn't need, the guy who came out was friendly, professional and apparently knew what he was doing because they took care of my problem. It doesn't get any better than that." "I have been with Action over 10 years and have never had a problem that wasn't taken care of very soon, Josh is very friendly, on time, and does a great job and informative, I am very satisfied with Action." 2301 S. Green River Rd. "Just had one of your guys out (Ross), I wanted to brag on him! He was very thorough and made sure to consider my kids safety first. He provided very great service and I thought I'd pass along the info. I think it's always good to hear/share the positives!!! Merry Christmas!!" "They were prompt for the appointment. The technician was very knowledgeable, professional as well as very quick with his work. He suggested things that I personally could do to help the situation as well as give me great quotes for what they can do in the future." 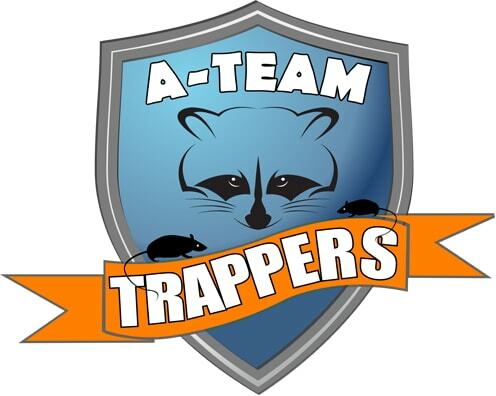 "I've had another pest control service for the past three years with minimal success. However, when bees and mice started coming in the house and my service wasn't able to handle the problem I called Aiken Pest Control at the advice of my neighbor. Andy came out that very same day and I can't believe the difference. He was able to calm me down (I was totally freaking out) and took charge of the situation. Well, after one visit, I no longer have bees coming in and the mice have literally disappeared! Andy was just wonderful and I can't thank you guys enough!" 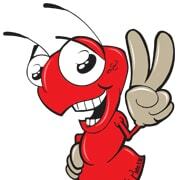 "Alexander Termite and Pest Control company are absolutely fabulous! Their customer service is number 1! Their highly qualified team of excellence in every way make them the best in the business! Thats my A+ opinion and you SHOULD take my word for it and call them today and start new service or switch your old! You will be satisfied that you did!" "These guys are always on time. They are super friendly. They have always come when they said they would. That is really important to me. I can't stand waiting around for this kind of stuff. Every time they come over, they are extremely nice. Very enjoyable to be around. When I ask them questions they always know the answers. I hate spiders and I like green grass!! So, All Green is boss!!" "Your Technician was just here and he was AMAZING. I have been with you guys for 15-16 years, and you have always had great, professional service people. Thank you!" "I absolutely love them! Mike is the best! They have great customer service and even better results. My bug problem has been terminated." "This company is awesome!! We have an account with them for general pest control with maintenance and they are always there when we need them. We had an issue with roof rats in the past and with one phone call we haven't had any problems since and it's been almost a year. I even had an issue with a snake that had gotten tangled up in bird netting in my backyard, one phone call and 15 minutes later they had a guy here to take care of the problem and they didn't even charge me. They are just all around good people we will be using them for the years to come. Highly recommended!!!" "We have tried several vendors and found Allgood to be the best. They are always on time and the techs are very personable and professional (which isn't always the case in this field). We use them for 2 properties and are always happy with the service and price." "I interviewed several termite companies and went with this company for their professionalism. I was contacted and met with Steve Morales and he's the best. He and his office staff informed me of every step that needed to be done when fumigating your house. Steve called a couple of days prior to remind me to call the gas company to shut the gas off and his office staff called before and after the process was done. 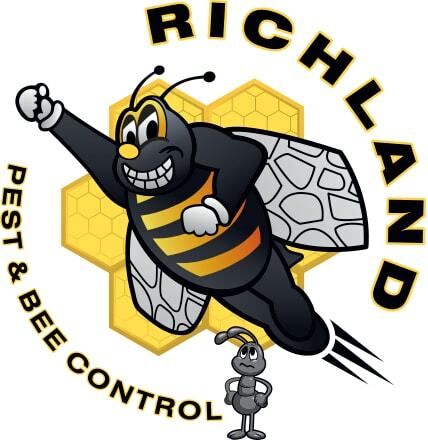 I highly recommend this company for your pest control needs!" "Amherst Exterminators are fast and care about the environment. They are polite and professional. Even though they provide a guarantee, I've never had to call them back and the hornets are gone for the summer. Yea!" "We were quite impressed with the quick attention paid to us by your company. You came out immediately and your techs were very knowledgable about our problem (ants). As a result, the ants were gone and we were given instructions as to how to prevent their return. Thank you for helping us with a bad situation!" "We've been living in Charleston for over 10 years and have been through multiple termite and pest control companies and Anchor just far outdoes all of them. They've gone into our attic and other areas of the house when the other pest management companies said no or wanted to charge us." "I called Nature's own and explained I needed my backyard cleared of the wild weed growth that had taken over my yard after a wet winter. I was scheduled right away, for the following Tuesday. The guys showed up on time, were very nice and efficient, and trimmed my shrubs beautifully. A very reasonable price and excellent service. " "I had Antex encapsulate my crawl space. I have been delighted with the results of their work. They were very professional, they took the time each day to leave the job site neat and were careful about my landscaping. Best of all my crawl space is now clean and dry. Since I am sensitive to mold, this has been a very favorable asset in my home. It was performed just as they said it would in controlling the humidity in the crawl space and inside the house. Living in the Sandhills with the dampness and humidity as high as it is, I would highly recommend Antex to encapsulate your home. The benefits will surprise you once you have a clean, dry crawl space in your home." "The people at Antworks are the best! Very quick service and they answered all my questions and then some. Reasonable rates, and I haven't seen a single ant since the treatment. Highly recommended." "We had a complete pest treatment outside, inside, in the attic, yard and a mosquito treatment. All work was performed above my expectations." "Jonathan Metzger completes a superior job on pest control needs. He arrives timely, provides a detail assessment of what needs to be completed. He has great customer service skills and is very professional meanwhile ensuring that the customer never feels left in the dark or like you have been talked down to. He is very honest and dependable. if you ever are in need of quality and skill be sure to request Jonathan Metzger." "Tim was extremely polite and personable. Very well spoken. Showed confidence that he knew what he was doing. Very diligent in his work. He went over problem areas around my home and also explained to us the chemicals he was using and why. He showed us areas to look for future bug issues. Went over the invoice and asked if we had any questions about what he wrote up. He also reaffirmed if we had any issues to make sure we contact him directly or leave a message with his team and he'd be back out to take care of the problem. 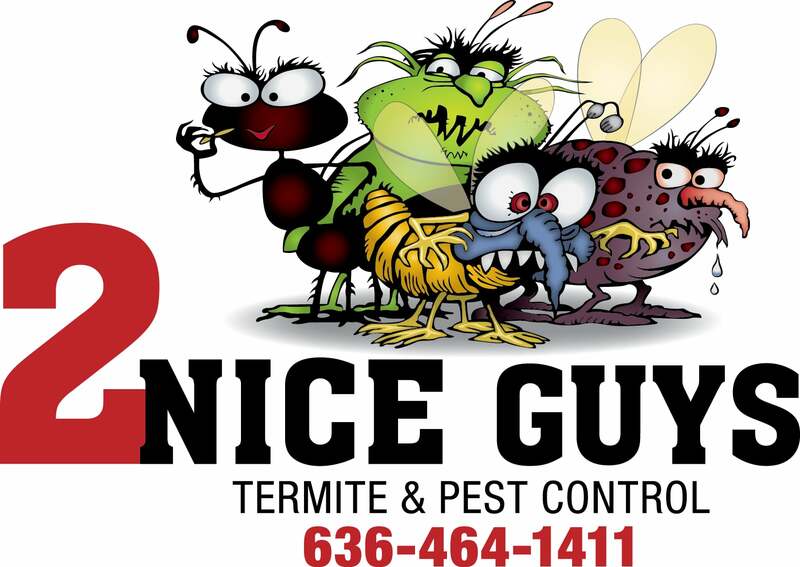 I've work with 2 other pest companies and these guys were terrific!" "We had a unexpected carpenter ant problem and decided to have Batzner come out and do their BAN program! Dan was the one who came out and did an amazing job. He checked the outside of our house, treated it, and then treated the inside. He was so personable and made me feel great about our decision. I am so excited to not have an ant in my house as well as any other critter or insect especially centipedes!! Thank you Batzner and Dan!" "Excellent company. They know all there is to know about every type of critter there is and how to maintain a safe home for families. As an Arizona mom, my biggest concern is scorpions during the change of season. Beebe's knows how to eradicate that problem and make a mom feel safe. Exceptional customer service and dedication coupled with integrity in business and knowledgeable staff equals five stars!!" "I used BioTech about a year ago for a pest problem and had great results and thought the technicians were very knowledgeable and professional. We recently discovered mice in the house so we called BioTech again based on our prior experience. David came out right on time and found the source and laid out a clear plan to get rid of the mice and seal up the house." "Their exterminator, Craig, did an excellent job around and under the home we just purchased. He spent about an hour getting rid of several types of destructive ants and dangerous spiders that are in western NC." "I have used this company a few times in 10 years - twice for mice and once for fleas. They are prompt, courteous, and don't make you feel ashamed. I have never had them have to come back because they do such a good job getting rid of the problem the first time. Their employee Steve who came out to my house today was extremely helpful and very efficient even in a pretty large sized house. He explained everything and was very nice." "Just had another fantastic visit by Craig from BPC. The company is great to deal with. The tech is friendly, knowledgable, and professional. He asks questions and actually listens. I like how the company calls monthly, but isn't pushy. They leave it up to the client to determine if they want a treatment or not. Very glad I found this company and highly recommend them." 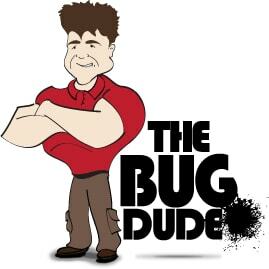 "I would like to take this opportunity to say Thank you to Shane Hughes, service tech with Bug Busters. Shane has been spraying my house and garage for over (2) two years to keep bugs out. Last year I had a problem with Kudzu bugs (Megacopta cribraria as a Nuisance Pest) eating my black berries, Shane helped me get rid of them. He is a professional, friendly guy who goes beyond the call of duty, has the knowledge of his job and does not hesitate to answer any questions or help you . Shane is asset to his employer and deserve this saying "Good Job""
"Extremely professional and knowledgeable employees. I get quarterly pest control from this company, who also does exterior pest control for my neighborhood and I could not be happier with the results. Dan is my technician and does an excellent job." "CJB is awesome. We've used them twice so far, once for mice and another time for ticks and mosquitoes. Both techs were very knowledgeable, friendly, and willing to go the extra mile to get the job done right. Zero new mouse droppings and noticeably fewer mosquitoes since they were here. Highly recommended." "I would strongly recommend using Classic Insulation And Pest Control. I received three different bids for putting insulation in my 1930's home. The Classic Insulation team shined above their competition, from their front desk to the estimator, to the installation crew, their professionalism was impressive. Plus, we have saved approximately 30% on our heating cost. " "Christian was on time and very thorough. He also took the extra time to measure the outside of the house and give the buyers an estimate for future termite treatment and bonding. 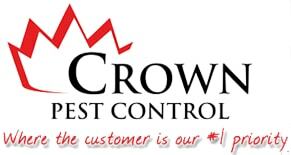 I will continue to refer my clients to Crown Pest Control for any purchase screening or treatment needs." "This was our first experience with Dixie and we received excellent service from our first contact until the job was completed. Our technician was Russ and I can't say enough positive things about him. Russ was so knowledgeable and explained everything very well. He checked the entire house for entry places and sealed them up, along with catching 5 flying squirrels! Gale and Jody also provided excellent customer service. Everyone was very friendly and helpful." "I just had my first yard treatment for ticks and mosquitos with Dominion and I have to say everything from scheduling with Jon to the service with Rusty was nothing short of impressive. Great customer service all around. Thank you for taking the time to answer my many questions and being so friendly and thorough. Keep up the awesome work!" "I've used Drake now for years and my lawn is clearly the best in the neighborhood. I couldn't be happier with their service and attention to detail. We had tried other lawn services in Central Florida but none could have compared. After seeing their work with the lawn service we gave their pest control a shot too. Haven't seen any ants or bugs in the house since we made that choice. I would recommend Drake to anyone looking for service." 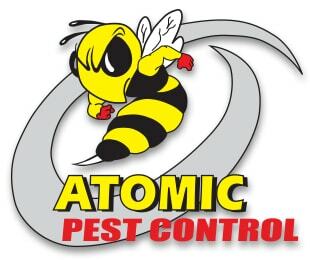 "Drive-Bye Exterminators does an amazing job! They are reliable, professional, always on time, and working with them is easy and hassle-free. 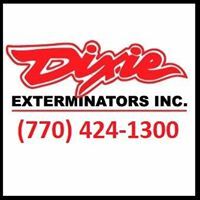 Drive-Bye Exterminators does a fantastic job and they deliver on their promise- they get rid of the bugs!" "Happy happy happy. 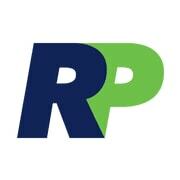 Not happy that I need this service but very happy with the service and professionalism of this company. Esau and crew provide service when promised, solve the problem(s) and even take some extra time to explain what you can do to continue to live pest free. Very nice people." "Ryan was recommended to us by our neighbors. He is awesome. He always shows up, is courteous, thorough, and professional. So much so that we recommended him to our new neighbors. He has kept our home spider free and our yard vole free and wasp free." "Our experience with Fahey has been outstanding. Fahey offers exceptional customer service, prompt attention to any situations that develop and fair competitive pricing for quality service. The reps have taken time to answer all of our questions and concerns and offer suggestions that are helpful to maintaining our home to be pest free. They provided efficient and easy solutions to address our concerns regarding rodent issues and to maintain protection from termites and pests both inside and outside our home. Exceptional, diligent and knowledgeable staff. We highly recommend Fahey to anyone who wants professional expertise and exceptional service!" 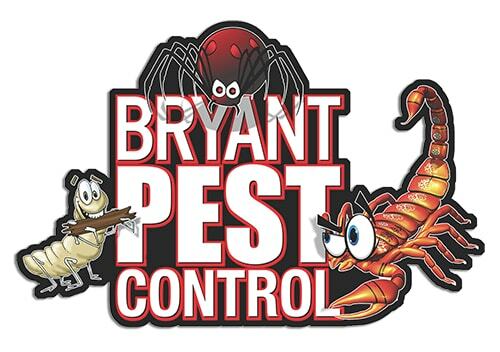 "We have been using Family Pest Control, and we purchased a big deal from them last year, and now we purchased another one to do another year with them. We have enjoyed their service. The service has been great. We renewed, because we wanted to continue with them. The service people are prompt, they are friendly, they have been attentive to issues that we had, and they have dealt with issues whenever we had them. The quality of work is good." "Fikes does an excellent job on residential pest control. Craig helped us with a mole problem in our backyard. Give them a call." "I contacted Flash Exterminating after fear I may have a bed bug infestation. My initial contact was with James who was friendly and knowledgeable. I was able to get an inspection the same day I called and the exterminator came early. Over all there was great communication and service from Flash Exterminating and their staff, and I would recommend them to other." "This place was recommended to me by a friend that rents houses and often has to de-bug after tenants leave. I brought in a picture of my major offender, and the woman behind the counter was able to prescribe the best solution. We've been using their spray all around the house and inside for a couple weeks now and have noticed a significant decrease in insect traffic. I am very happy with my purchase and the service I received." "Very friendly people who seem to know what they're doing. Always punctual and ask what we want done, every time, rather than blasting away the same way they did it last time. This is important to us because we don't like using poisons more than we have to. They're sensitive to our needs about not spraying food plants in our backyard and working around areas frequented by pets. I recommend these people highly." 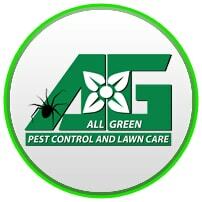 "Green Pest Solutions are awesome. From Richelle on the phone to my salesman Kevin Harple to the technician William Ayala, I had a great experience. They worked great with the very old West Chester building which has a commercial units and tenants, to accommodate all of them. The actual service was not invasive to our beautiful building or its tenants. They kept me informed throughout the process. Highly recommend this local company." "I had a roof rat problem (eeew!). I live in the MIL suite of a large home. We soon figured out that he couldn't simply treat my attic. He had to get to the attic of the main house. When the problem didn't seem to subside immediately, we figured out there were two different attics in the main house for a total of three entry points, which includes mine. Once he got to the third attic, roof rats were history. No more noises above head and far less activity outside. Minh was prompt, personable, friendly and professional; easy to understand; and knowledgeable. I really was made to feel confident about services I was about to receive. Then he delivered. Yippee!" 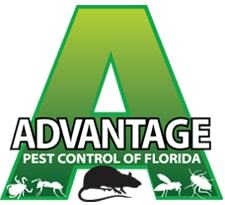 "We had them come out yesterday for pest and mosquito control & had a great experience. They were so nice and great with our dogs, which we really appreciated!! We love that they use odorless, environmentally low impact products to make sure that it is safe for our family! We were outside yesterday evening & did not notice any mosquitos. That is a win! !Highly recommend!" "After working with several different termite inspectors we were lucky to have found J&J as they had appointments available right away, they showed up on time and had reports out the next day. They are very professional and courteous! Will no longer need to shop around. Thank you J&J!" "I had a pretty Serious pest issue that had me in full panic mode... John came out quickly and explained what/why needed to be done. My problem was resolved by the end of the week and I haven't had a recurrence since. His company is fast, professional, courteous, and affordable. I will not use anybody else. Awesome job!" "I have used Johnson Pest Control for my business for over 1 - 1/2 years and I have used them at my home for seasonal pest control. They are friendly and reliable, and most importantly they have kept us pest-free all the while. I've also met several members of the staff, including the President, Ray Johnson - he's such a nice and friendly guy. Don't hesitate to use Johnson Pest Control for your home or business!" "We have been using Kentucky pest control for 26 years, and have always had excellent service! Tom is the individual who has come to spray our house for at least 14 years or more, and he is just wonderful! You could not get a better pest control Service!" "Ledford's quickly got our yard and house flea infestation under control. I had used another company first and still had a major problem after two treatments. Ledford's did one treatment in the house and yard and the problem is gone. Thank you Ledford's!" "We encountered a tick problem on our dog from his daily trips to the dog park. Naturally he brought them into our home. I tried handling it on my own, to no avail. I feel extremely fortunate to have found Manning Brothers. My experience from my first phone call to the service was outstanding. They solved our problem and Andres and George were extremely courteous and professional. I would not hesitate to recommend them!" "I've been using My Exterminator for over 3 years and couldn't be more pleased at the service. They come out quarterly for routine maintenance and if there's something that comes up between treatments, they come right out for them as well. Reasonably priced, honest, and great service. What more could you ask for??" "My Son and I Pest Control has been servicing our community for nearly 10 years to your satisfaction, ranging from regular monthly extermination service to special requests. Javi and his father are a great team that provide efficient, trust worthy, courteous service and they will continue to be the ones we turn to for any service calls relating to pest control. As a Property Manager, I especially appreciate Javi's diligent hands on approach and how responsive he is in tailoring his services to our needs. It is a pleasure working with such a professional vendor, I would gladly recommend My Son and I Pest Control. " "We had carpenter ants & their little red cousins...we had carpenter bees...we had a nest of wasps. We had a home owner's bug nightmare. I called Ohio Pest Pro and my problems were solved. Jim Davis promptly came out, gave me an estimate & went to work. It was the quickest, easiest, smoothest service call I'd ever contracted & it was very reasonably priced. 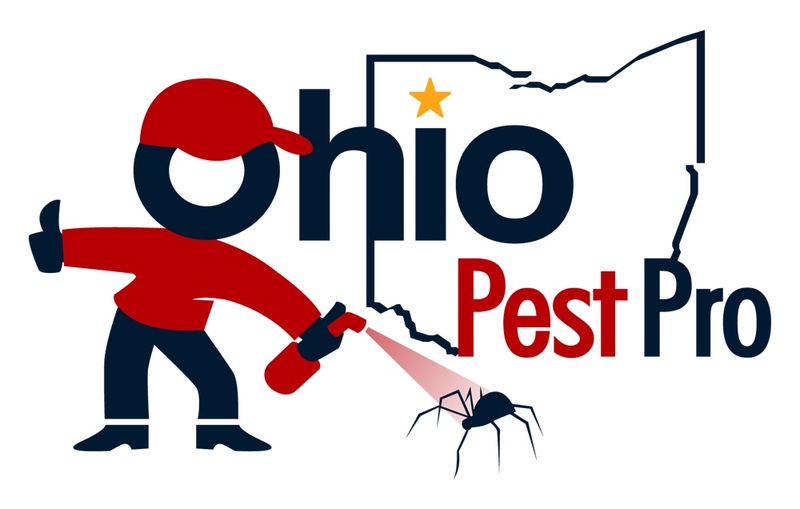 I highly recommend Mr. Davis and intend to use Ohio Pest Pro again. Call him...you'll be a happy customer, too! " 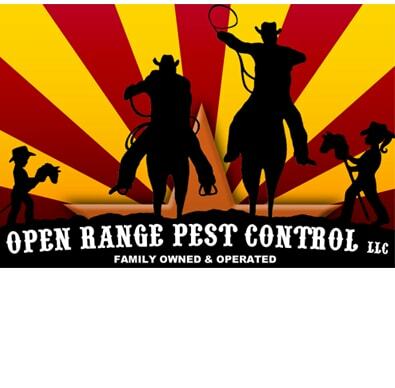 "I highly recommend Delane with Open Range Pest Control. He is always professional, on time, fair and most of all honest on anything I need." "Optimum Pest Control provides great customer service. I have really appreciated that every time I have a problem they respond so quickly so I don't have to deal with any pest for too long. Tom is a man of his word and always stands behind any of his products. I have and will continue to recommend Optimum Pest Control." "If you want the best in Pest Control it will be Pest Pro services who else can give you the family business like a local company. The big companies don't have a local Doctor that knows pests like Doctor Bernie Howell, also they don't care about the local economy or business they only care about the bottom line. Kevin and Bernie care about the local economy and how it effects you and the local residents so now try the best. 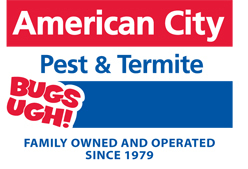 Pest Pro Services I am so glad they care about our local economy and friends." "We're doing some home renovations and found what we thought might be termite damage, we called PestMasters and Michael Gardner came out and thoroughly inspected the house. No termites no other active pests and the inspection was FREE. Mr. Gardner was very professional, didn't try to sell us anything and gave us peace of mind. I would absolutely recommend them to friends and family. When they say free inspection, they mean it. Thank you PestMasters!" "We have had reoccurring challenges with mice in our basement. Albert arrived and was very polite and extremely helpful. He took the time to examine the different areas inside and outside discussing what we felt were possible points of entry. Additionally he made certain that I could call at anytime with concerns and that he would follow up at next scheduled visit. He is certainly an expertise." "Job well done! Their receptionist was able work me into their busy schedule the day I called. Eric was great and very knowledgeable. We even got a surprise visit from his manager, Larry, who stopped by to see how things were going. I was thoroughly impressed with both of them and the company." "Brett is amazing! I love having the peace of mind that my home is taken care of by Protec. My husband and I love how he operates his business and communicates with us. He is very professional, responsive, knowledgeable and is always there when we need him. Thank you Brett!" "Called this morning and Jon came out early this afternoon, right on time when the appointment was. From the beginning he was providing great service. He was even mindful of taking off his shoes since it was raining out, and was super friendly. Asked good questions, talked to us about what we have seen and some options. He was focused on the job at hand and the service he provided. I was so glad to realize from talking to him it's a local, family owned business." "The service man checked in the attic and outside. He found that there was a wasp nest. He did offer a lot of information about how bees and wasps operate. Russ was on time, very informative and courteous. I would recommend Rambo and Russ to my friends. " "My family was devastated and ready to move out, but The Ratpackers rescued the foundation and insulation to my household." "The. Best. No other words other than that. John and his staff are available and willing to help with any type of issue you're having with pests. We've had some run ins with small pests and large ones that want to dwell in our attic... oh the joys of living in a wooded area." "Very prompt service. They came out the same day to deal with out issue! Prices seemed comparable to other companies that i contacted." "Working in a big property you expect to have a little bit of pest control issues, but with rid x pest control that little problem was taken care of really fast. Always on time and prepare to do the job that is needed. I am truly thankful for such a great company." "Dave our technician is AWESOME! He was very thorough and accommodating with our request and schedule. He is also very knowledgeable and answers all the questions I had. We caught three mice in the house last night, I told him about it and he was able to get out today to proceed with more actions. With the situation we have right now, his professionalism and service definitely have put us at ease. We feel like we are in such great hands!" "Thank you Royal Pest Solutions! Have a termite guarantee from work 5 years ago, and when they swarmed again today they were here within the hour to spray! Scheduled to come out for another thorough treatment next week, and it's covered. Great service, and they stand behind their work!!" "I recently signed up for your Guardian Program, and I just thought you should know that I am very pleased with your company's service so far. I especially want to mention that I feel I'm in good hands with your technician. He has done a great job! I also got the opportunity to meet his route supervisor today and thought highly of him as well." "Amazing pet control service and excellent customer service. We moved into our home 7 years ago. There was a HUGE ant problem here. We used several pest controls and buy yourself products. NOTHING worked. A friend recommended this company and WOW! Scott worked with us to get rid of those ants. Fantastic!!" "These guy's are the best in the business. I have been in Real Estate for 13 years and they are the only company I refer! They get the job done not only for all my clients but my personal home. I really love Shawn Zuelske for his professionalism and how good he treat all my clients. You just gotta hire them and you'll know exactly what I'm talking about. You will not be disappointed." "I called Dale one evening in August around 6pm concerning a sudden incursion of yellow jackets into our formal living room. I had been able to contain the critters with some hastily erected barriers, but I was in need of getting rid of them ASAP. He arrived the next morning and within 90 minutes had controlled the situation and eliminated the pests. Dale was professional and courteous, and the charge for the work was reasonable. I would recommend Dale to others, and I would surely sue him again (hopefully not for a crisis like this time!)." "They were very helpful in explaining what the ants were looking for and doing, and completing the necessary repeat treatments to get rid of them. We have them come out every three months and haven't seen any ants in the house since the summer. The technicians are always courteous." "These gentleman are always on time, always professional and ensure my children and I are protected from any creepy crawler. We are so happy to have found this company and plan on using them for as long as we live here!!! The price is right and so worth it to us!! They always go above and beyond to ensure we get the best customer service." "We woke up to bees this morning and thanks to Chris at the Beehive, within the hour they were gone - and at 9:30am on a Sunday morning! What's even cooler - The AZ Beehive rehomes the queen and as many bees as possible to their farm in Gilbert. I can't thank their tech Chris enough for his prompt, super friendly and informative service. I highly recommend!" "These guys are AMAZING! I had a dead rodent in my chimney and couldn't stand the smell. I called and they were able to get someone out here within 30 minutes. They were very affordable in comparison to other companies I called and they even did a free quick quote for me. Mike, the pest control service man was great. He had a great attitude and was very knowledgeable. I highly recommend them." "With the initial visit, Steven was very professional and informative. We discussed the best approach for ridding my home of uninvited mouse-guests and to prevent future wasp & bee nests, in a manner that was safe for dogs & children. Today, technician John came to place traps and spray outside. Again, another professional and informative representative. John also answered all questions and made recommendations for how I can be proactive with discouraging future mice, from wanting to play in my basement. Very pleased with the excellent customer service this business has to offer." "Tri-County Pest Control in Aston sent Mike to come out and spray for Camel Crickets. They squeezed us in the next day despite their Saturday hours being shorter (and booked) and arrived on time. Mike was so friendly, professional, and informative. We are more than pleased with the service! I would definitively recommend their services!" "Great company very reliable and easy to work with. Tony was so fast in responding and giving me an excellent quote, techs were also very experienced, kind, and fast. Lisa took payment easily and nicely over the phone. All of this was done within days." "Had yet another Amazing visit from West Coast yesterday! Wes and his team always make sure to go above and beyond the run of the mill pest service you get from the other guys, and always with a smile! Friendly, reliable, and punctual! Highly recommended!" Companies that have been around longer typically have more experienced exterminators. It's important to only work with fully licensed and insured contractors in your area. Having a solid track record when it comes to customer satisfaction is crucial. It's easier to work with one company than to have to hire multiple for similar jobs. 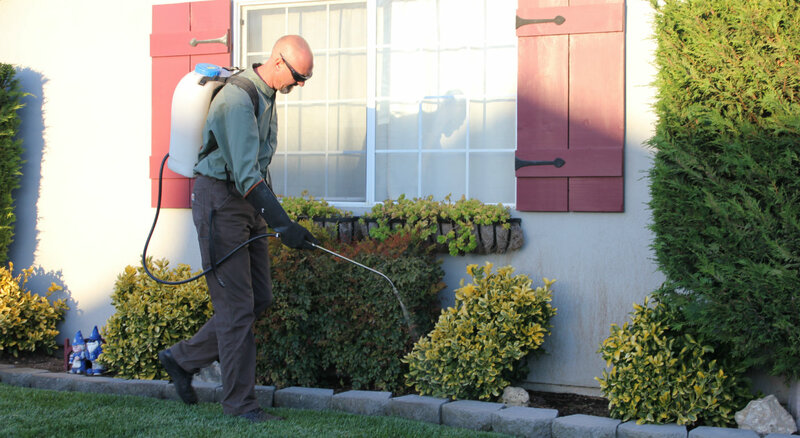 Pest control cost is one of the most important factors for customers looking to hire an exterminator. Companies that show up on time, return phone calls and emails quickly are better to work with. Want to let customers know you are a top ranked pest control contractor? Why would you recommend this contractor?